Ernest Montsion still remembers how afraid a young German soldier looked when Montsion came toward him with his rifle more than seven decades ago. Ernest Montsion, 95, was 19 when he enlisted to go overseas from San Clara, Man. 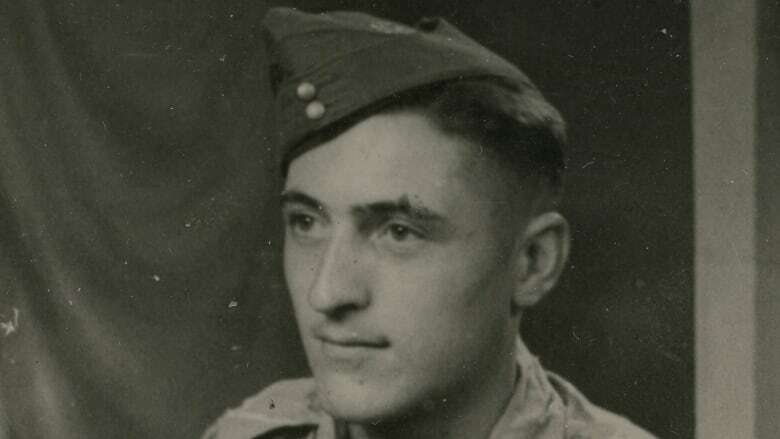 Ernest Montsion remembers how afraid a young German soldier looked when Montsion came toward him with his rifle, even though it was more than seven decades ago. "He was down on his knees, hands up in the air, looking up at me, and I got a bayonet stuck against his tummy. And he's scared. I could see he's really scared," Montsion said on Thursday. "He's just a kid — but then, I forget, we were just kids ourselves," he said, laughing. Montsion, now 95, was 19 when he enlisted, leaving his home in San Clara, Man., to fight overseas. On the night with the scared German soldier, Montsion and his regiment snuck behind the German line, edging toward a monastery on a hill. As they stood there in wait, they heard a troop of German soldiers approaching, singing on the road in the belief they were safe. Montsion's commanding officer told them to charge, and they did. They took the monastery, but as Montsion approached the young German man, he found he couldn't kill him, so he took him prisoner instead. Inside the monastery, Montsion opened a can of food to eat and couldn't find his fork. The German soldier had one and the two split the can. "We were not killers. We were soldiers, yes, there to kill. But … real down deep inside, you know, we're not killers," Montsion said. "I didn't want to shove a bayonet through him because I was not a killer. I just took him prisoner.… Simple." Montsion will to turn 96 later this month. He's among the last living Manitoba soldiers who fought on the front lines in the Second World War. After the war, he went to visit the grave of another Canadian soldier — the last to die in his regiment, he believes. The man died after their commanding officer changed the order in which they were to run into battle, putting the other soldier in Montsion's place. "I always felt bad about it, always, because he had taken my place. He took my place and immediately, bang, he got nailed," Montsion said. "Well, that's life. We didn't have any choice in the matter. You didn't stop to think about it, either. You'd have gone crazy." Montsion said he enlisted because the army needed him. He went to basic training at Fort Garry and Shilo, Man., then made the uncomfortable journey by boat to the Adriatic Coast in March 1944. He remembers being so seasick he hoped to be killed in battle so he wouldn't have to sail home again. He rarely felt afraid, but often felt tense, he said. "If they opened fire at you, they're shooting at you, you'd hit the ground. Then what do you do? Do you stay there or do you roll to the right, or do you roll to the left, or do you get up and run forward again?" 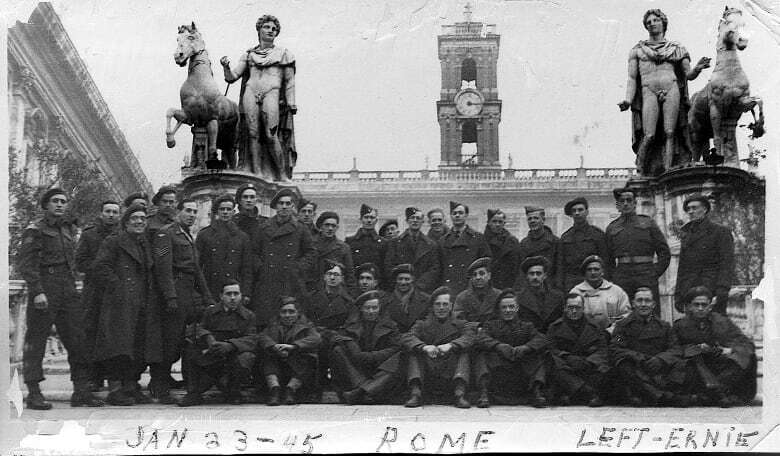 Looking back, he feels average German soldiers — not the professionals — were a lot like they were. "We didn't hate them, you know," he said. "They were in the same boat as we were, except they were on the other side, we were on this side. What are you going to do?" This Remembrance Day, Montsion said he wants people to think of the fallen. "Think about all the boys that got killed there. Nothing else, nothing else —​ just the guys that got it," he said. "Some got it, some didn't. A matter of luck, I think." He's working with his family on a memoir about his experience. He doesn't find it as painful as some to speak about the war. "Some people say, 'I don't want to talk about it.' Well, what the heck. Why not talk about it? War is war."